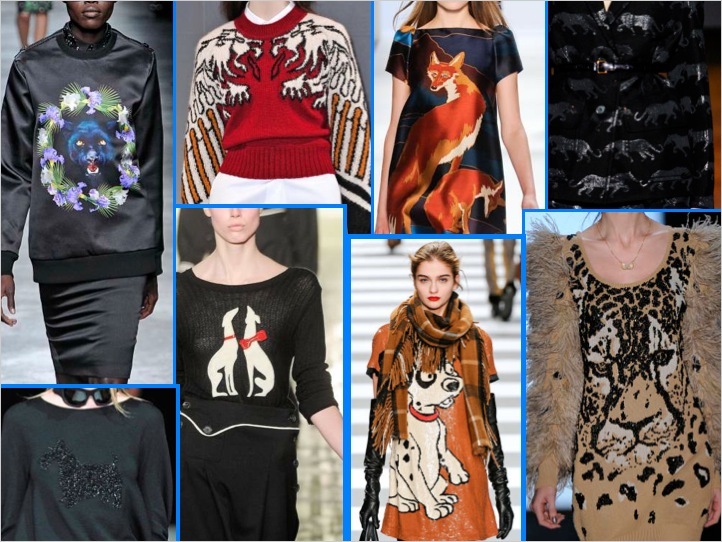 Seen on the Fall 2011 runways were several different interpretations of animal motifs. From foxes at Jill Stuart to panthers at Givenchy, animals seemed to be a kitschy theme for designers all over the globe. Used as intarsia on sweaters, graphic prints, as well as sequins designs, the animal motif added a little bit of humor into Fall’s mostly stern aesthetic. Look for interpretations to be seen throughout all markets from Junior tshirt graphics to repetitive prints on dresses and pants in the Contemporary market. The biggest trend will be in knitwear with all markets interpreting big animal motifs in sweaters whether hand-knit or screen printed. When styling the idea, think more outside of the box by using dressier fabrications such as satin, sequins and metallics.